Flexible, sleek and streamlined, the M Desktopmount Basic Quad frees up space and allows positioning of your display for greater productivity. Reposition your four LCD monitors with ease. Up, down, tilt it forward or backwards. 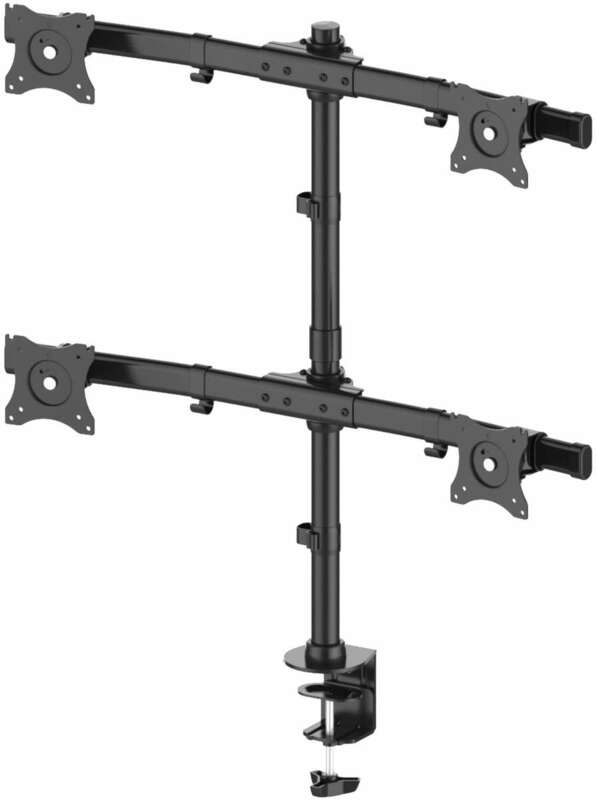 The M Desktopmount Basic Quad allows easy adjustment of the screens to suit your specific position. The M Desktopmount Basic Quad works with almost all LCD screens on the market supporting VESA standards of 75/ 100mm holding screen weight up to 8 kg.